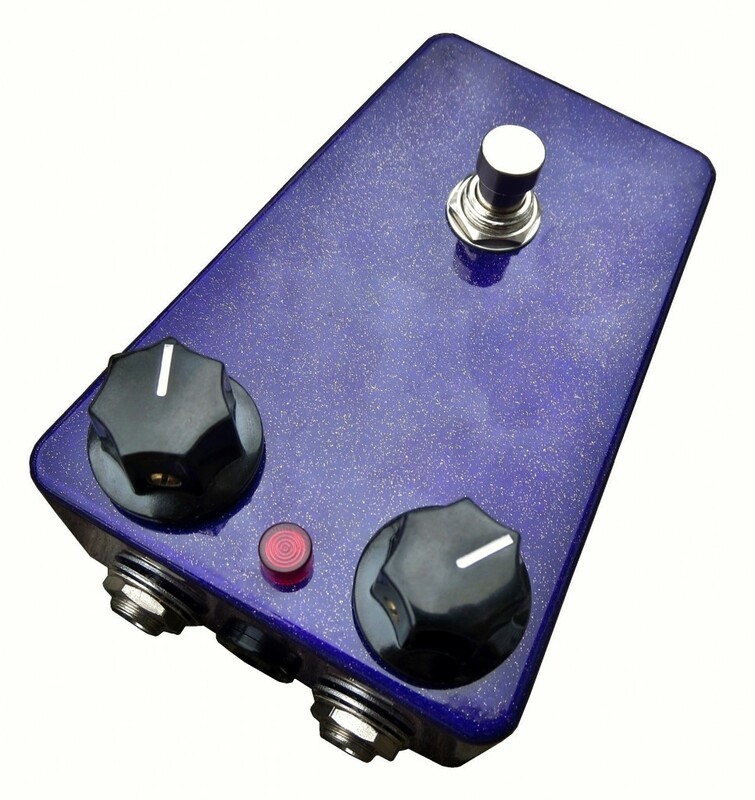 The Purple Stardust™ Hi-Octave was a Limited Production Item. CHECK OUT THE INCREDIBLE SOUND CLIP FROM Matt Cummings! 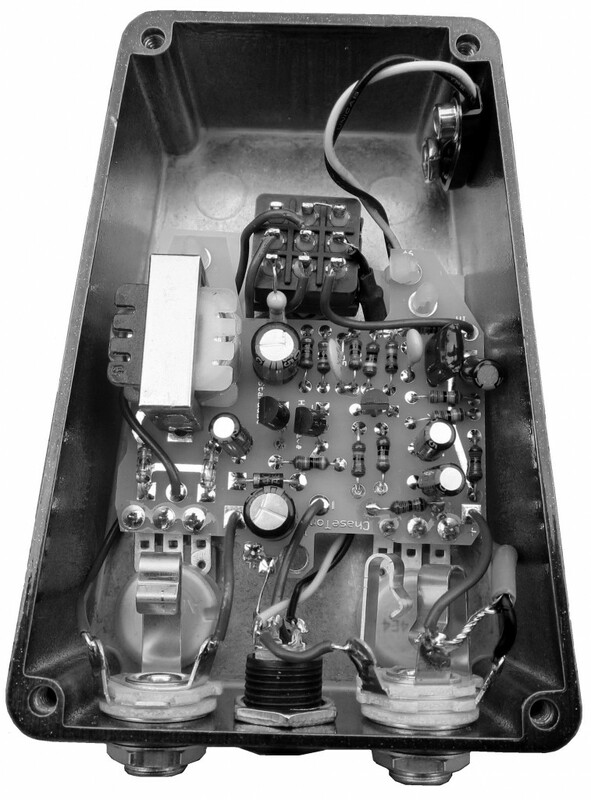 “For those who desire a fluid & harmonically complex late 1960’s style Hi-Octave Fuzz Effect. . . Intensity: Special circuit tunings allows a full range of fluid, over-driven Hi-Octave Fuzz tones. Lower counter-clockwise settings allow cleaner, warmer Octave sounds. Higher clockwise settings gradually increase saturation and treble EQ. 1. The Purple Stardust™ is primarily useful on a Neck Pickup for the Purist Octave Effect. The Guitar’s Tone Control may be utilized for darker, smoother tones. 2. Due to the unique, harmonic doubling mirror circuitry, a player’s dynamic touch and note choice plays a crucial role in the resulting octave sound. Some note combinations may introduce lower octave tones or dissonance much like a ring modulator effect. 360° viewing angle hi-bite RED Light Emitting Diode w/ red high-impact diffuse-ribbed ABS plastic protector. The Tychobrahe Octavia™ circuit is a mess with an incorrectly wired Intensity pot, an incorrectly installed Q1 Transistor, and is mis-biased (spec’d for 24volts yet runs on 9volts.) 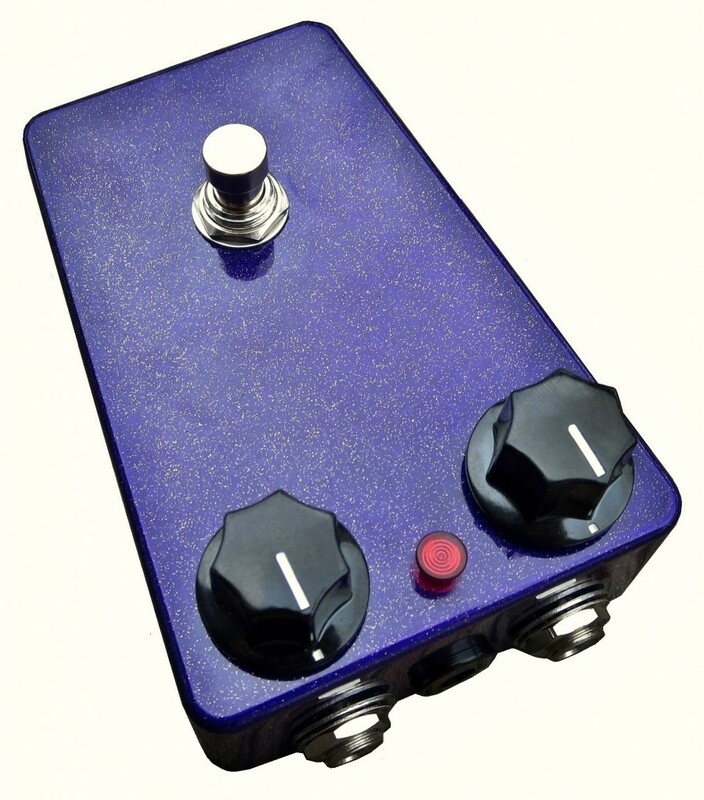 If you are tired of the overly gain-y, noisy and treble-y TychoBrahe Octavia™ clones on the boutique market, we agree with you and it’s the reason we’ve created the Purple Stardust™. The Chase Tone™ Purple Stardust™ Hi-Octave-Fuzz Effect has negative feedback stages, accurately biased new production, low noise BC549B and NOS Vintage 1970s Motorola PNP transistors, an optimally wired Intensity Control as well as a custom spec taper, larger transformer, altered circuit values and matched output diodes for a superior sounding fine-tuned version with amazing touch sensitivity that satisfies and expands a musician’s horizons. Reminiscent of the iconic 1960s Hi-Octave-Fuzz Effect heard on the studio: “Purple Haze (guitar solo),” “Fire,” “One Rainy Wish,” “Little Miss Lover,” and the live Band of Gypsies era “Who Knows”! Note: The Purple Stardust™ Hi-Octave was a Limited Production Item.